1. We returned home from Chicago on Monday night and woke up Tuesday morning with colds all around. I was the overreacting mom who rushed Liam to the doctor's office at the first sign of green drainage and a low grade fever. When he giggled at the doctor through the entire exam, I knew he'd be ok. :) We're all recovering, and that's where we've been this week. 2. One of my New Year's Resolutions is to be more consistent in memorizing Scripture. 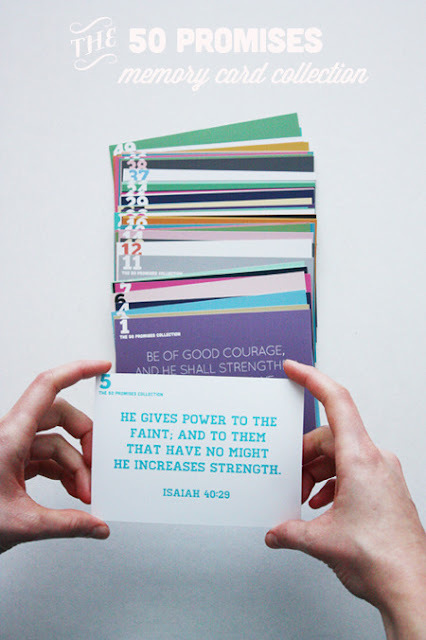 So along come these pretty cards by Summer Harms featuring 50 promises of God, making it so easy (and beautiful!). Order them here. 3. 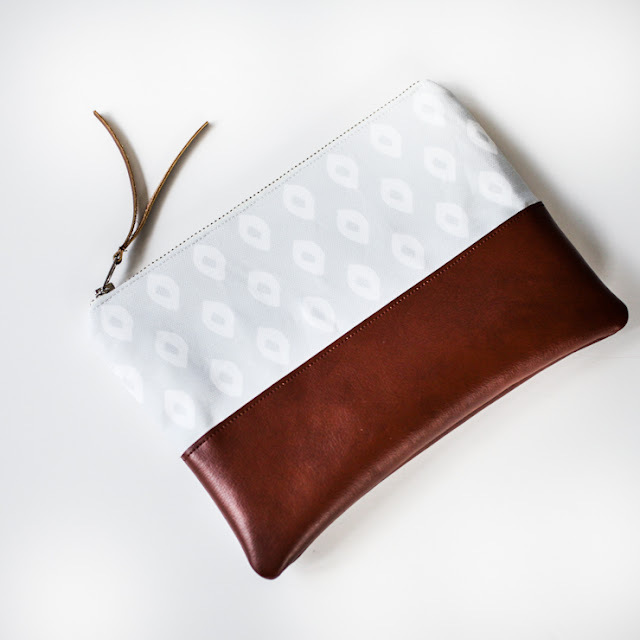 I've been working on a few new bags for the shop using fabric I've designed. More to come soon. Also, my new embroidery machine is set to arrive today... which means monogramming will finally be available. Not sure what it is with bridesmaids and monogramming, but I've gotten quite a few requests. I'm excited to finally say "yes." 4. 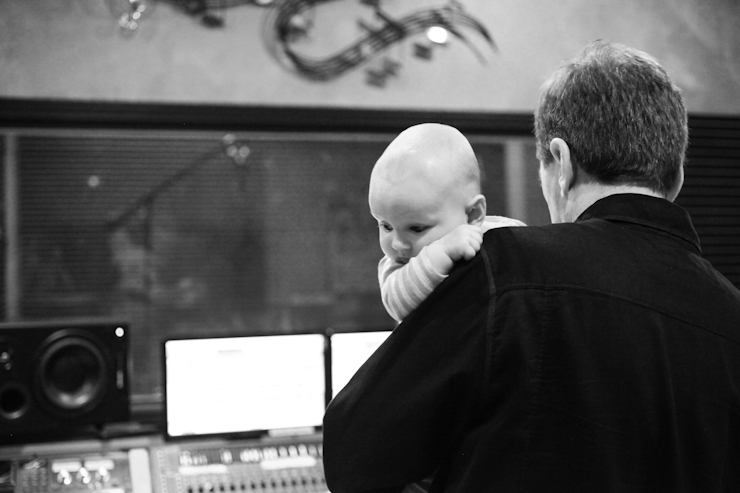 Growing up in Nashville with parents who are musicians, I spent a whole lot of time in recording studios - from birth on. 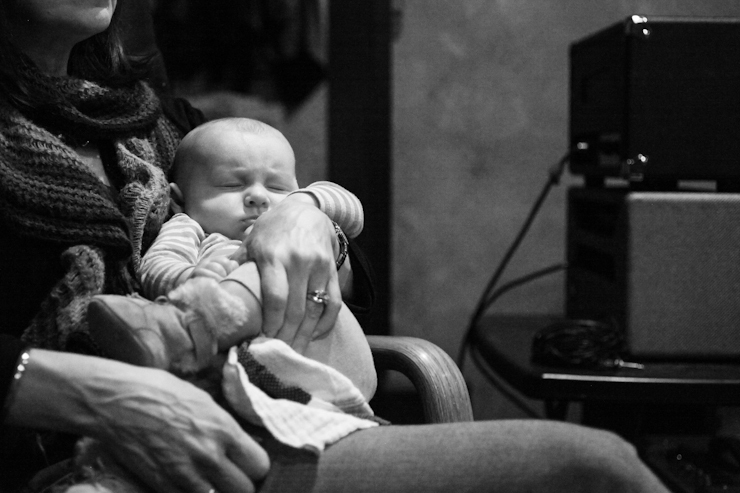 So the other day when my dad was producing a string session, I had to bring Liam by to introduce him to the studio. He did great... spitting up all over Poppy's shoulder (and down his leg), then falling asleep in Mimi's lap. 5. I'm thinking of doing a DIY week in a couple weeks with 5 days of do-it-yourself project posts in a row. Do you have requests? Sewing? Home decor? Painting? Let me know! I, too, love the leather clutch! My request for DIY is home decor. All the pictures you post of your house are so beautiful! I'm so excited for your DIY week! My vote is for sewing DIY's - maybe something that can be given as a gift? I love your DIY home decor projects - and isn't Liam so precious in that first picture?! My husband and I have also been memorizing a Scripture a week, but we just use index cards. I wish mine were cute like yours! How did you design your own fabric?! I will stand alone and ask for painting. When I learned you taught painting classes I so wanted to take one but being in CO makes that difficult. But I'll take anything...home decor or sewing! You are the best...belated Happy Birthday! Yes! I like Heather's suggestion! A painting DYI? Your blog is always fun to read, Whitney! It's so charming and encouraging! I would definitely be into some easy do-it-yourself sewing projects! 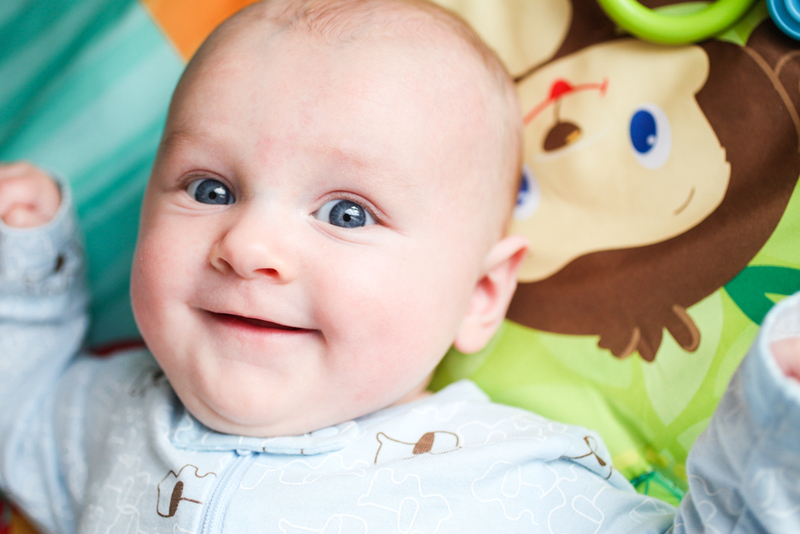 Liam is such a cute baby!! and so happy too!! Adoro sua pagina , e tudo tão lindo . And bridesmaids and monograms...hmmm...maybe because they're being given matching clutches and will need to be able to tell them apart? Have fun getting to know your new machine! Your little Liam is so sweet. He has a face that feeds Hope to the weary.